An essential tool in almost every industry for permitting networking and brainstorming is the state or regional conference. 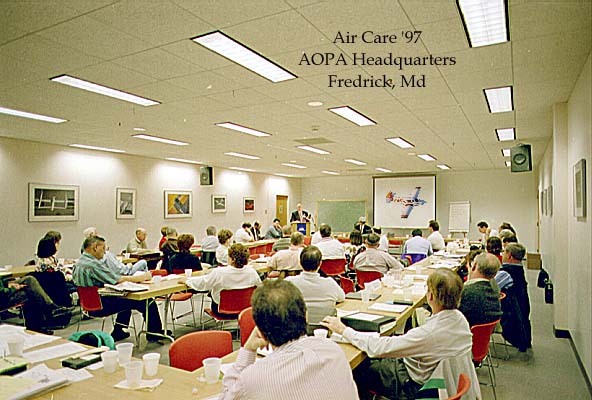 Yet virtually all general aviation conferences are currently either organized as an activity of professional groups (such as the American Association of Airport Executives) or as industry exhibit events (such as the National Business Aircraft Association conference). While AOPA EXPO, the national annual conference of the Aircraft Owners and Pilots Association, features some excellent events focusing on advocacy, with few (and fortunately exemplary) exceptions there is a dearth of well-organized dedicated conferences at the state and local level. This lack seems to be a reflection of the same factors mentioned in the Policy section preceding: inadequate resources and recognition for those who could organize and lead such events, and inadequate understanding of the benefits of conferences. Another common obstacle is that of identifying suitable facilities for such events. For instance, it would seem natural for regional and statewide aviation groups to consider a nearby aviation museum as a center for their meetings and educational events. Yet leaders of groups near such facilities and the managers of museums or other aviation education facilities fail to recognize such a natural symbiosis. Too often aviation advocacy meetings are held at sterile hotels at great cost, or in drafty hangars in poor weather, while superior, aviation-oriented museums are begging for events that might better publicize their own missions of enhancing public understanding of the role of aviation in history. Proposals for such state and regional conferences will be entertained by the Wolf Aviation Fund, combined with information and expert resources that could be provided to the proponents making the events more likely to be successful and rewarding for the participants. Currently there are some excellent conferences held in a few areas, and we hope to help further publicize those events and ask the organizers to help support similar events elsewhere. An additional process of identifying museums and other exceptional aviation-oriented facilities and encouraging their hosting such events would enhance the likelihood of success for both the groups holding conferences and the institutions maintaining the facilities.